Reap the benefits of crazy prices at Discount Vacation Hotels. This travel agent deals in accommodations in Mexico and has the lowest prices on the Internet guaranteed. 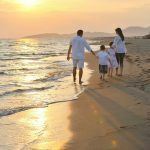 Vacation accommodations in Puerto Vallarta for a family of 4 (2 children under 12) all inclusive run for $249 and $299 for 6 days 5 nights. Now, that really is one of the cheapest all inclusive packages you will find for Mexico! With savings of nearly 80%, you could be exploring Puerto Vallarta‘s Malecon boardwalk or whale watching out in Banderas Bay. Taking a vacation in Mexico has never been so cheap. Why not indulge in an all inclusive package for just $249. The worst that could happen is that you will never want to come home.